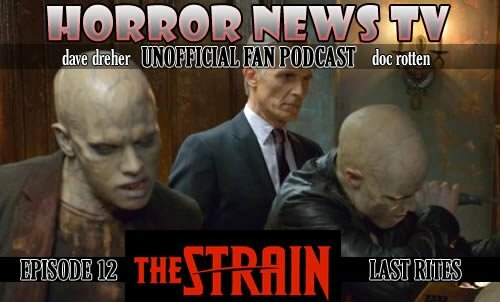 The Strain delivers its penultimate episode with Last Rites where Eichorst attacks Abraham’s stronghold. This week features the return of Dutch, Gus, the Rat-toothed Vampire killers and Bollivar, the vampire rock star. Poor Nora must make a hard decision, one that deeply affects Abraham as well. Meanwhile, back at Palmer’s “batcave,” The Master stops by to deliver on his promises…or, does he… Doc and Dave have lots to discuss as the recap episode 12 ofÂ The Strain.